All YO ZEN outfit. Photo by Rewan Khaki. It was a very cold winter day on the streets of Helsinki. One of those days when you just wish to stay indoors and enjoy a good book with a warm cup of tea. I was freezing at a street corner while waiting for a friend to join me for dinner. Looking around trying to distract myself from the cold I noticed minimalistic swan shaped earrings on the display window of a small boutique. They were so beautiful; simple yet elegant and timeless in design. Like small wearable Japanese origami. Unfortunately the boutique was closed but I told myself to remember the name, YO ZEN. The jewelry felt like the perfect thing for me to carry. Ever since I was a kid my mom has called me ”Lintu”, bird in Finnish. Maybe she could see my desire for freedom and adventure already back then. YO ZEN is also pronounced the same way as "joutsen", the Finnish word for swan. Swan is the national bird of Finland and one of the most beautiful creatures living up North. 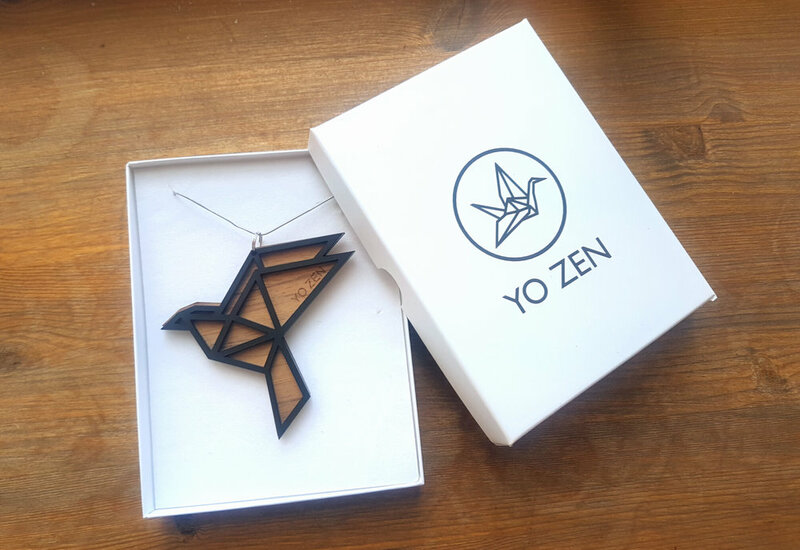 A pair of YO ZEN earrings would also be the perfect accessory for Finland 100 celebrations! YO ZEN is a design studio driven by two architects Paula and Kate and located in Oulu in the North of Finland. It is easy to imagine these hip and cool yet effortless designs to be found both in the middle of nowhere and in the heat of a big metropolitan city life. There is something both very Nordic and universal in YO ZEN jewelry. At the same time as there is a story behind their pieces, there is room for everyone to create their own meaning for the pieces you choose to carry - at least I did.